I'm back after an extended RL move - and of course I've jumped right back into shopping again! 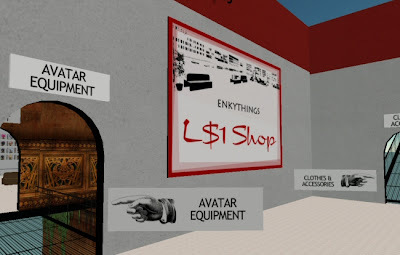 I ran across Enkythings 1LS store this morning, while I was drooling over the boots! Enktan Gully has built quite the little newbie heaven here - hair, neko, clothes, shoes, furniture, attachments, toys, jewelry - you name it, it's there. I've added the landmark to the folder of freebie newbie stuff that I hand out to new members.